Way back when I first stood for council in 1998 we had a simple campaign slogan: Wandsworth is Conservative. The Conservatives had taken a hammering in the 1997 election and a significant number of people believed the council was also Labour controlled. 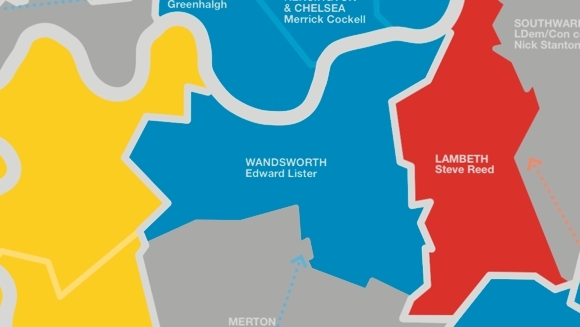 We knew people rated Wandsworth highly, and wanted to vote to continue that, but needed to let them know that if that’s what they wanted, they needed to vote Conservative. And 12 years later it’s still worth repeating that message. While knocking on doors the other day I met one voter who told me that they would be voting Conservative nationally, but Labour in the local elections. With a slightly bruised ego I asked why. Needless to say, I quickly corrected them so they knew who had been running the council and providing those services. Wandsworth has the highest public satisfaction rate in the country. If you want to keep those great services and great value voting Conservative is the way to keep them.